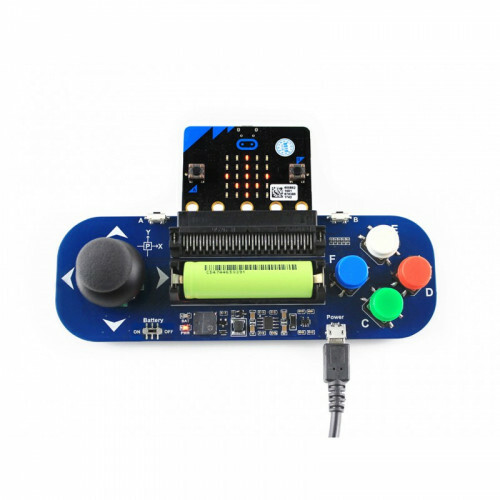 Gamepad expansion module for micro:bit, plays music, powered from battery, also charges the battery. 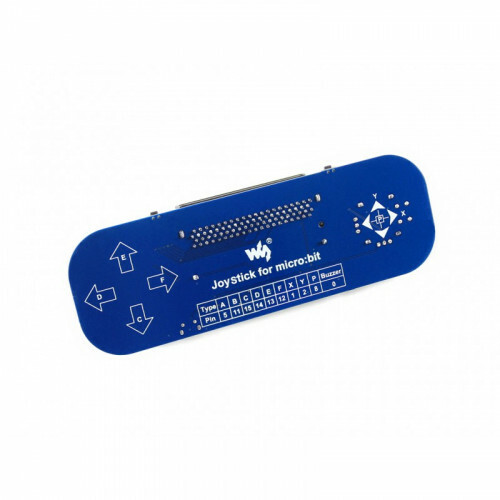 This little module adds arcade controls to your micro:bit, makes it possible to turn the micro:bit into a mini game console. There's onboard buzzer to play music and game background effect. 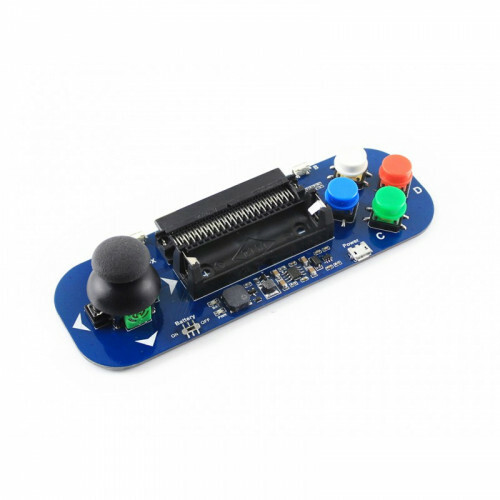 It is powered from a 14500 Li-ion battery (not included), conversely, it allows to charge the battery through USB connection. 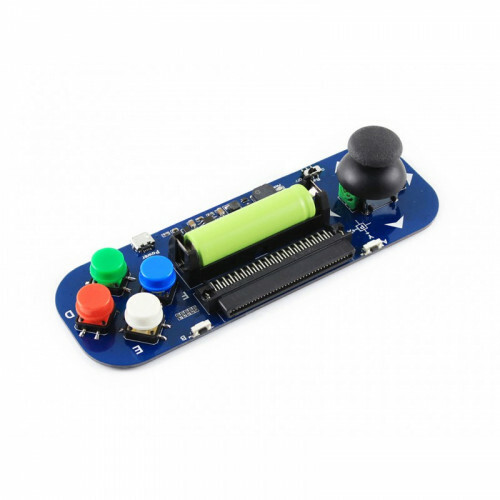 Note: this product requires a 14500 battery to work, which are NOT included and should be purchased separately.